Home » VT News » Jackpot: Decemberist's Double Double Bonus Progressive Video Poker Monster! Jackpot: Decemberist's Double Double Bonus Progressive Video Poker Monster! I love it when VT readers take a pile of money from The Steve... but HOLY CRAP. 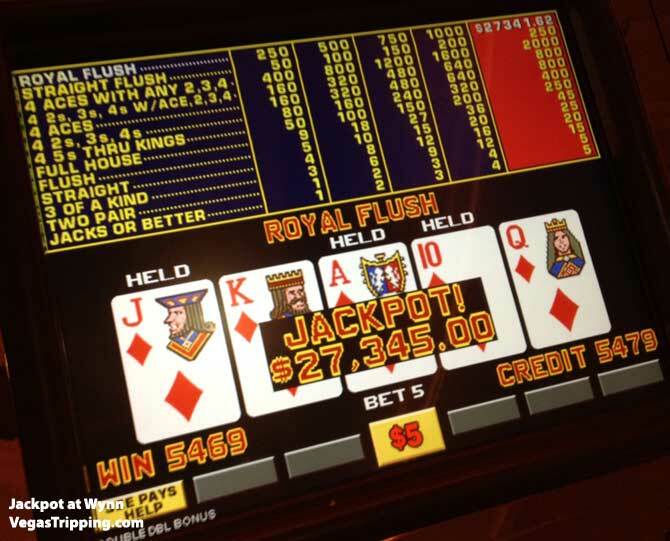 VT reader Decemberist hit this incredible monster of a jackpot on a Double Double Bonus Progressive at Wynn. Wooo woo! We've added this to the VT jackpots gallery. If you've got some big winners send em to jackpots@ vt and we'll post em here. A thing of beauty! Congrats! Betting 5 credits at a time, it looks like he was down to two more plays. Amazing!